A really good cast can sell anything. That is much evident in ‘Finding Your Feet,’ a film so formulaic even Stevie Wonder can see plot points a mile ahead. Even its pace, like molasses in winter, can be somehow overlooked because the actors, led by Imelda Staunton, sell all of it and you buy it. It’s not a hard sell either – these characters seem all real even while they are saying incredulous dialogue or making real impossible situations. As I said, Imelda Staunton is Queen. A little glint in her eye can express utmost happiness. As Sandra, an upper-crust wife who discovers her husband is having an affair with her best friend, it never seems like she is asking you to feel sorry for her – her sadness has such dignity. Sandra goes on and starts living with her sister Biff (Celia Imrie) and they rekindle their sibling relationship. Imrie is great as well as the more care-free sister. They both join the local senior-citizen dance group and even if there are a couple of dance sequences, director Richard Loncraine doesn’t seem to be much interested in them, filming them almost all in close up. and well, the choreography isn’t the best, either, anyway, although they do have homespun charm. And Joanna Lumley is wasted here, playing mostly the ‘best friend’ supporting role. But all in all, it’s entertaining, and I enjoyed seeing West End in London, as well as Rome. I miss Europe. Travel shows nowadays are a dime a dozen. But once in a while, a hook gets me, and this time the hook is Joanna Lumley. I know her mostly from “Absolutely Fabulous,” of course but a quick glance at her IMDB credits show she has done much much more. 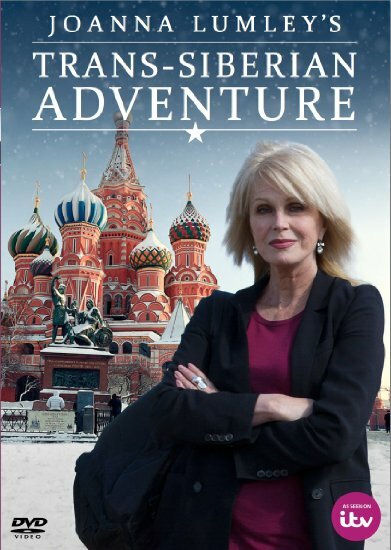 In this docu-travel series, she goes on the Trans-Siberian Express, starting from Hong Kong, and ending up in Russia. (No, har har, this show is not again about Caitlyn Jenner) There’s some connect there: as a child of four, she lived in Hong Kong, and as a model she went to Moscow. So it might be just a bit of a stretch, in theory, but once she gets going you know they made a right choice with her. She has a dignified and classy style of presentation, and it is warm and comforting. I think I would like to take her with me next time I travel! I have only watched the first two episodes, and she makes even dull places riveting. In Hong Kong, she travels back to her childhood home and discovers that it is no longer near the water (thanks to massive Hong Kong reclamation projects) and when she goes to Beijing, she points out the dichotomy of a massive commercial city under Communist rule. My favorite part here is when she goes joy riding with a young rich Chinese girl, she scolds her for taking too much selfies! (This from a woman with very heavy eye make up a la Donna Mills even in the middle of nowhere) And of course in Beijing when she goes to the Emperor’s Palace, the first thing she asks the tour guide is where the concubines used to live. When she gets to Mongolia, the action slows down a bit (there’s only so much you can do with milking cows) but as she travels to Siberia. you can see her perking up again. Even the toughest border guards as she enters Putin’s Russia is no match for her sass. As we end the second episode, she just begins to leave Siberia, so it should get even more interesting here on….